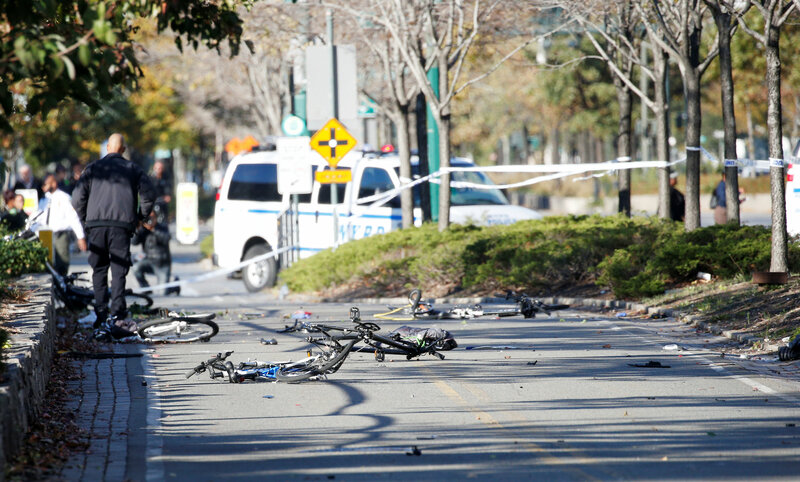 More details on the suspect who allegedly killed eight people and injured about a dozen more in Lower Manhattan have been released. When police confronted him, Saipov refused to drop what was in his hands. “An officer assigned to the area fired, striking him in the stomach,” police stated, USA Today reported. Citing law enforcement sources, CBS News and NBC News later reported that he’d written a note pledging allegiance to the ISIS terrorist group. The note left inside read, “ISIS Lives Forever,” a senior official who was briefed on the investigation told NBC. A knife was also found in the vehicle. 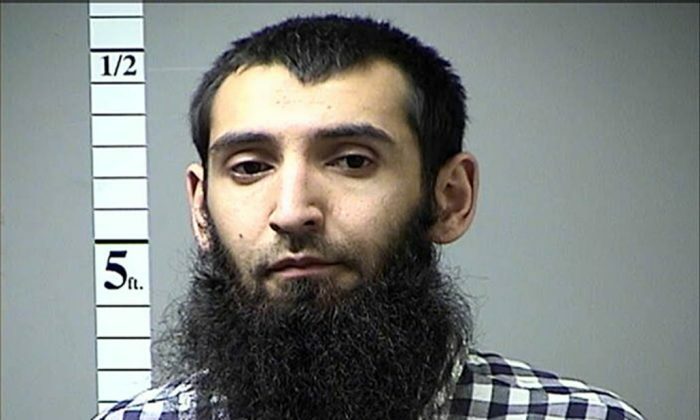 According to an ABC News report, federal officials interviewed Saipov in 2015 about potential terrorist ties. But agents with the Department of Homeland Security Investigations Unit didn’t have enough evidence to open up a case on him, law enforcement officials told ABC. Saipov’s name was listed as a “point of contact” for two men whose names were put into the Counterterrorism and Criminal Exploitation Unit’s list. One of the two men on the list vanished and was described as a “suspected terrorist,” ABC reported. 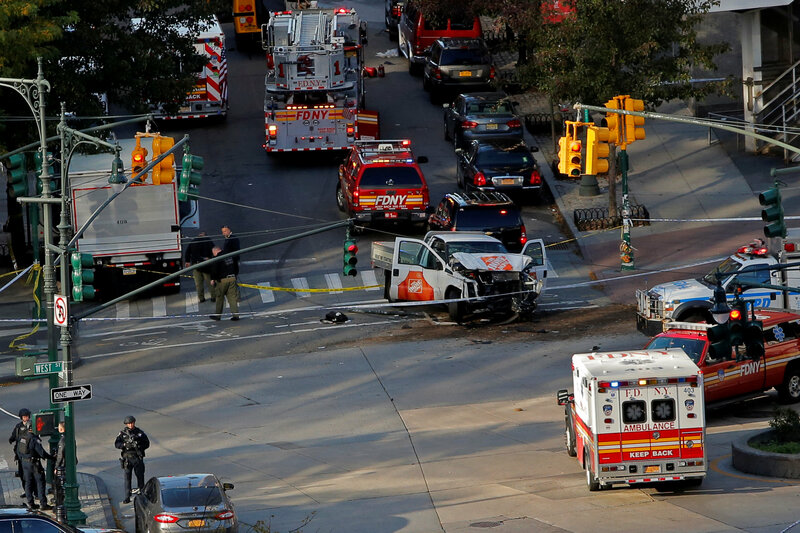 Before moving to the New York City area, Saipov lived in Florida and Ohio, media reports said. Kobiljon Matkarov, a fellow Uzbek national who knew him in Florida, said there was no indication that he would carry out a terrorist attack. “He was very happy guy. He liked the US. He is no terrorist. He’s all the time happy, smiling all the time,” Matkarov told NBC. 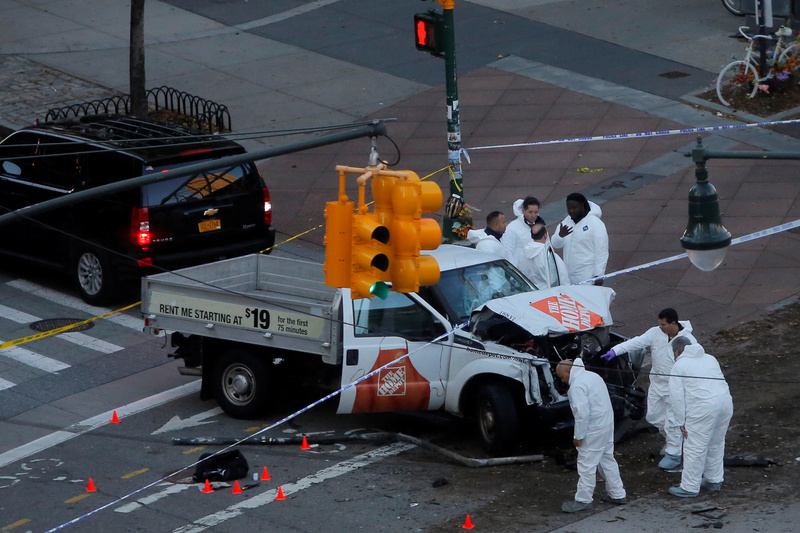 Saipov entered the United States via a diversity visa lottery program, U.S. officials told the network.